The transition between the summer and fall hut crews is like the baton hand-off in an Olympic 4x100m relay race. The summer crews finish their lap worn out, and hand over huts that are still running full speed. The fall crews have full houses and hams to cook the instant they arrive. The last week in August is one of the busiest in the huts, both with overnight guests and day hikers. Growing up in Maine, “Vacationland” as our license plates say, I have had a lot of time to observe vacationers. During the last weeks of the summer their actions always take on a slight edge of desperation. Minivans careen through traffic, cutting you off, the faces of their small backseat captives pressed against the windows. At the wheel is a father determined to get to one more sight, or beach, or event on the “summer fun” list. Fortunately, fall comes just at the right time. As August ended we had a week of cool, clear weather when a Northwest wind came down from Canada. Fall is a quieter season, perfect for sitting on a mountainside, listening to the leaves fall, eating an apple, absorbing what heat the sun has left. 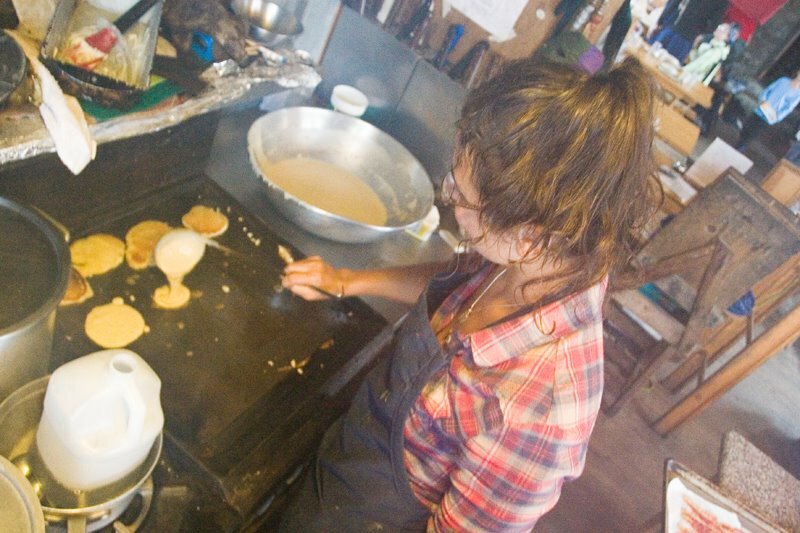 Once the new hut crews learn to cook pancakes, bake lasagnas, answer the question “Which trail would you recommend we descend with a 6-year old if it rains tomorrow?” and the 500 other details of running their hut, they will have some time to relax. The next race, to clean and close the hut before the winter comes, will start soon enough.